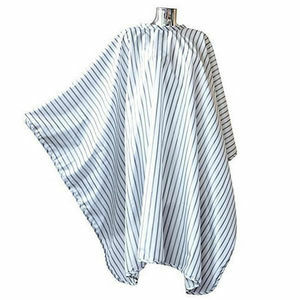 High quality one-size-fits-all cape from DMI. The DMI White Pinstripe Vintage Barber Cape will bring a touch of class to any barber's shop with its classic black on white pinstripe design. It has an adjustable clip collar rather than velcro and is big enough to be a genuinely one-size-fits-all product.